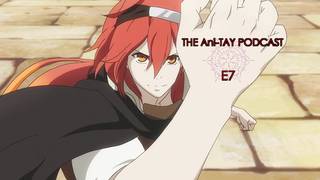 This episode, the AniTAY podcast discusses the Winter 2016 anime season by going through the list of shows on anichart.net and talking about what looks good, what looks bad, and what we do and don’t already know about them. I’m joined by Chef Raitzeno, Shade, Gugsy, and Kinksy. Storm Warning: Sorry that the header image isn’t a gif! The holidays were busy and I’m not at my regular computer for the next two days so I figured you guys would rather me post this without a cool gif header now than have to wait another few days.